Using found objects for learning and sensory play adds a special touch that really sparks a child’s interest. We spent a week at the beach earlier this summer. While we were there the girls collected some treasures from the seashore. They found a ton of seashells and, yes, some crab claws too. 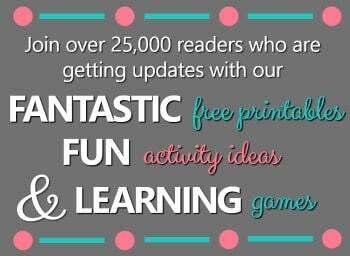 Kids love looking at them and playing with them, so why not add in a little learning along the way? If you have your own collection of beach treasures, print out our beach theme counting mats, and use them to practice counting and beginning addition. 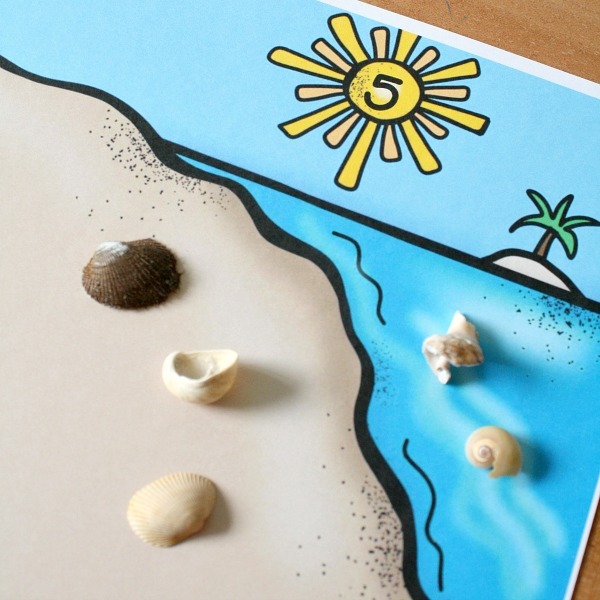 Preschoolers can practice counting and one-to-one correspondence by adding the correct number of seashells to each mat. 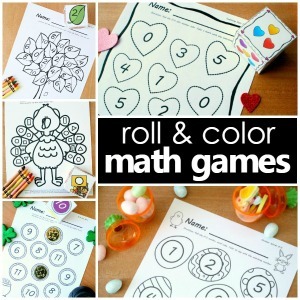 Once kids are able to do this you can extend the learning by focusing on additional number sense skills like more and less. For example, you might tell kids to put “more” shells on the mat than the number shown, or you might ask them to put “less” shells on the mat. As kids begin to understand more and less, you can take it even further by focusing on “one more” or “one less” than the number on the mat. 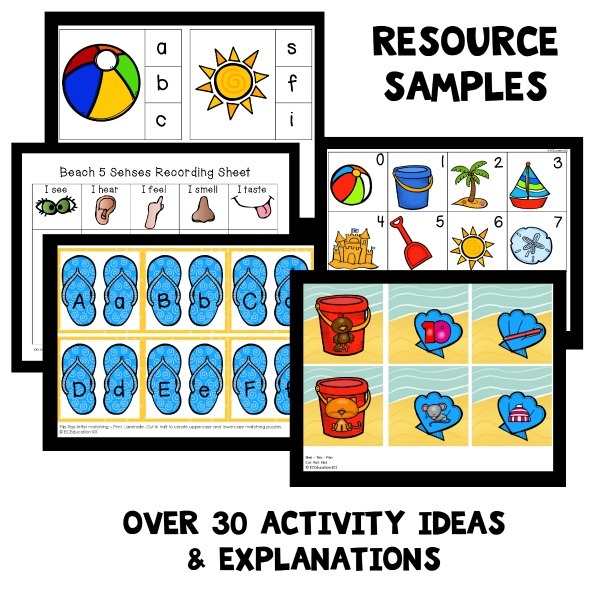 As kids are ready for beginning addition and subtraction you can also use the beach theme counting mats in a variety of ways. First you can decompose the number on the mat and have kids show a certain amount of shells on the seashore and a number of shells in the ocean. 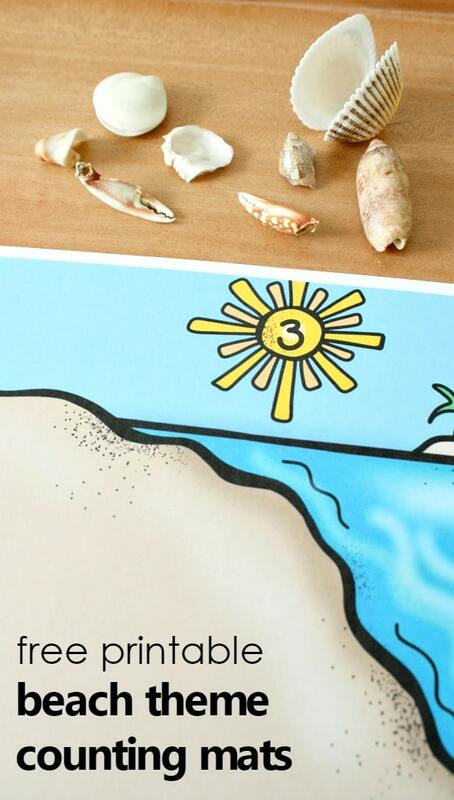 Here we are showing how five can be decomposed into three shells on the seashore and two shells in the ocean. 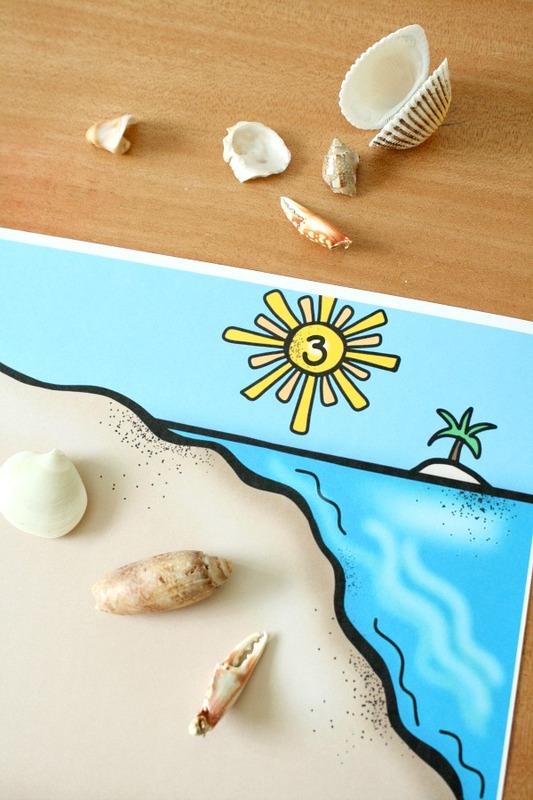 How else would you use these beach theme counting mats with your kids? I have tried to download a “freebie” five times now. Every time, I click on the link, enter my email and then follow the link in the email. That link leads me back to the main page. I have been trying all day on different computers and my phone thinking maybe it was me but now I’m thinking that there are no freebies (I even looked into buying the one thing I wanted but that’s not even an option…). What gives? Oh no! I’m not sure which link in the email you are clicking on, but in the freebie download emails there is a blue button at the bottom that says “Claim Your Download”. Click that button and the download will automatically be saved (most often to the Downloads folder on your computer), or as an alternative you can right click on the button and save the PDF file to your preferred location.